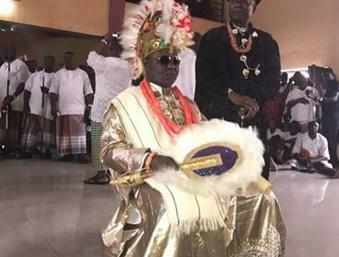 PORT HAR-COURT— His Royal Majesty King Ateke Tom has said that the Ijaw ethnic nationality cannot survive when there are palpable divisions amongst its stakeholders. Ateke, who was an ex-Niger Delta agitator, now a king and peace ambassador, stated this when he brokered a peace meeting to settle quarrels among youths of Ijaw nation. He expressed worries over the recent tussle which had split the youth body in the region, Ijaw Youth Congress, IYC, noting that skirmishes limited youth empowerment and development in the area. Ateke met the two factions of the body in the Eastern zone, led by Ibim Ibiwari and Sammy George in a bid to broker peace. The royal father pleaded with the two leaders of the factions of IYC to give peace a chance and avoid further attacks, adding that the people will lose if they are not united. He noted that development will set in only when there is peace, adding that Ijaw will not survive when there are divisions. The post Ijaw cannot survive when divided —Ateke Tom appeared first on Vanguard News.